Solar Energy Reactor | Dr. Ilija Lakicevic, Res. Prof. Regarding solar energy potential it becomes imperative that the solar cells and photovoltaic modules (cells) be looked at in a different scope. Long years of costly effort have been given to the solution of solar energy with very little results worthy of note. The reason for that is because researchers have NOT known and not used the nature’s principle which multiplies heat intensity. Flame can be produced by holding a biconvex lens over a piece of paper or wood splinters, but that is not enough heat intensity. Vastly more heat can be obtained by using the “nature’s” series of lenses. We require more heat than the sun and one series of lenses alone can give us it. Two stumbling blocks to this principle are cloud obstruction and the dark of night. However, we can acquire without break the intensely hot and WHITE light of oxyacetylene flame. The sun is 90,000,000 miles away. By the time it reaches Mercury, its temperature has greatly reduced, and even more so at Venus whose surface heat is over 200 degrees while the earth’s surface averages about 70 degrees. That is because the sun’s white light has been filtered out and we receive only its red rays on our earth. The Solar Cell SOL101RBI consists of a series of lenses assembled, dimensioned and positioned in order to fulfill requirements of the God’s white light multiplication principles by which invisible – motionless light, upon which this universe is based, is multiplied and brought into visibility. A metal frame is arranged around the banks of the lenses which project underneath in the octave multiplication systems. This bank of octave lenses can be one of many series of such banks. If enough of them were assembled under one hot white light a veritable Niagara of heat-power could be concentrated upon a pair of metal plates between which water can be pumped at one end and come out boiling at the other end. 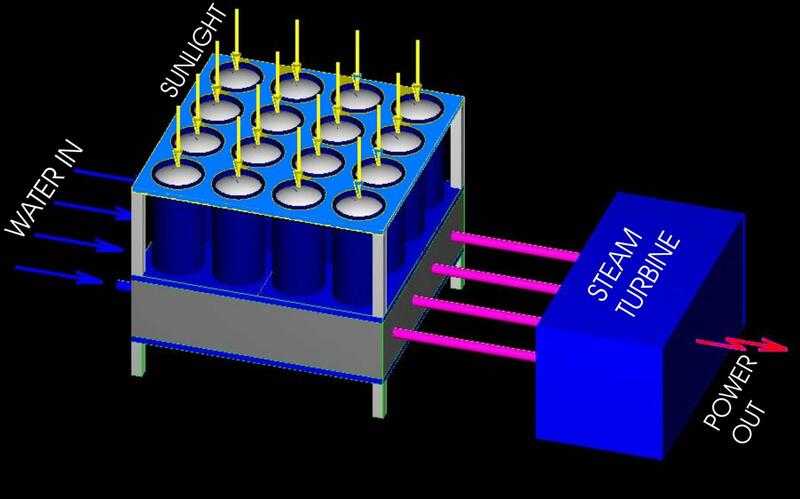 The boiling hot steam thus compressed can lead directly to a dynamo or reactor and the problem of solar energy has been solved for such needed purposes as purifying polluted river water or salted water of the ocean. This would also save piping sea water thousands of kilometers inland. The energy thus produced is even up to ten times cheaper than the conventional one. All Rights Reserved © Dr. Ilija Lakicevic, Res. Prof.